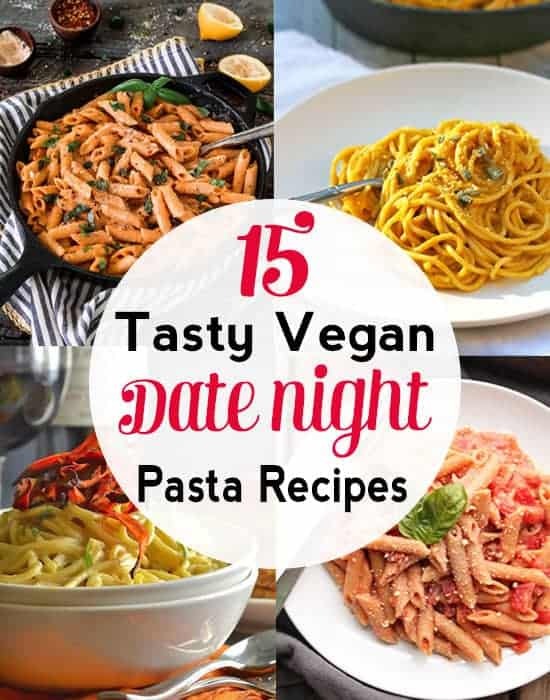 If you’re looking for some romantic Date Night Vegan Pasta Recipes, you’ve come to the right place. These dishes are deliciously dairy and meat-free but still dreamy for those special occasions where only pasta will do. 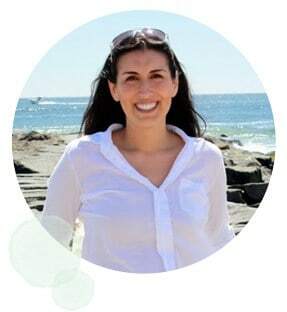 Going out to dinner on date night is always fun but sometimes after a long week, I’d rather stay at home, relax, open a bottle of wine, and dig into a tasty pasta dish with the hubs. Ever feel like this too? Pasta has always been my favorite food. You might have guessed by all the pasta recipes I have on my site (my Cashew Mac & Cheese, Thai Basil Noodles, and Ranch Pasta Salad are a few to check out). So it’s no wonder I think of pasta when I think of romance. 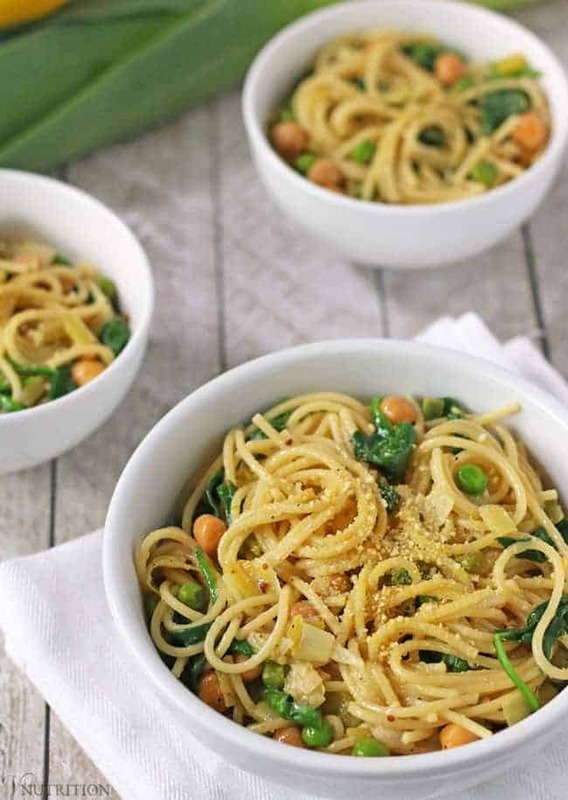 Whether you’re celebrating Valentine’s Day, a birthday, trying to impress a new special someone, or even just having a night in without the kids, these vegan pasta recipes will sure to be a hit. 1. 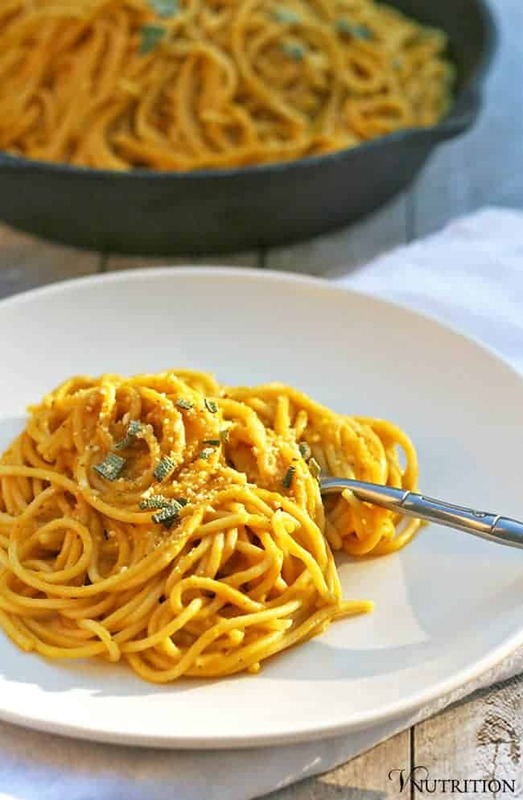 My Creamy Pumpkin Pasta with Sage is an elegant and delicious pasta dish. The sage elevates the pasta which would impress any date. 2. 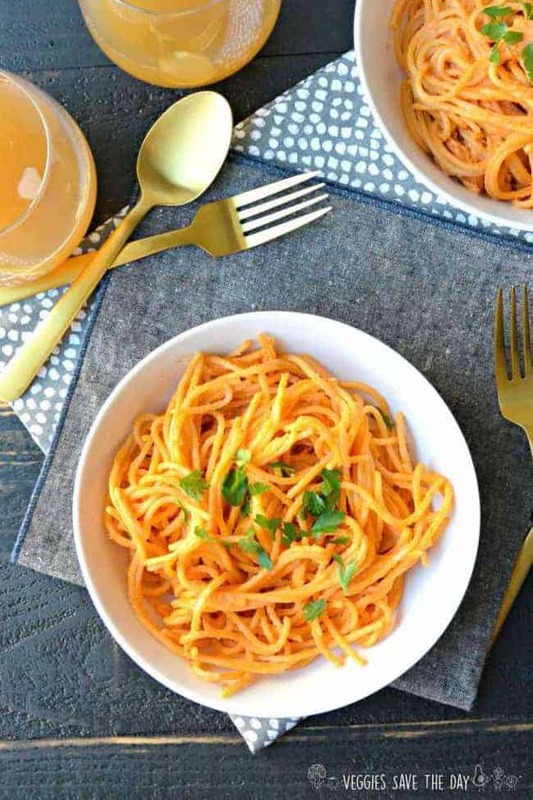 This Roasted Red Pepper Pasta from Vegan Huggs is a total flavor-packed comfort meal that any date would love. It’s creamy, garlicky, spicy and smoky-sweet – yum! 3.This vegan carbonara from A Virtual Veganis so simple yet so decadent, that it’s magic. A perfect way to impress your loved one! 4. 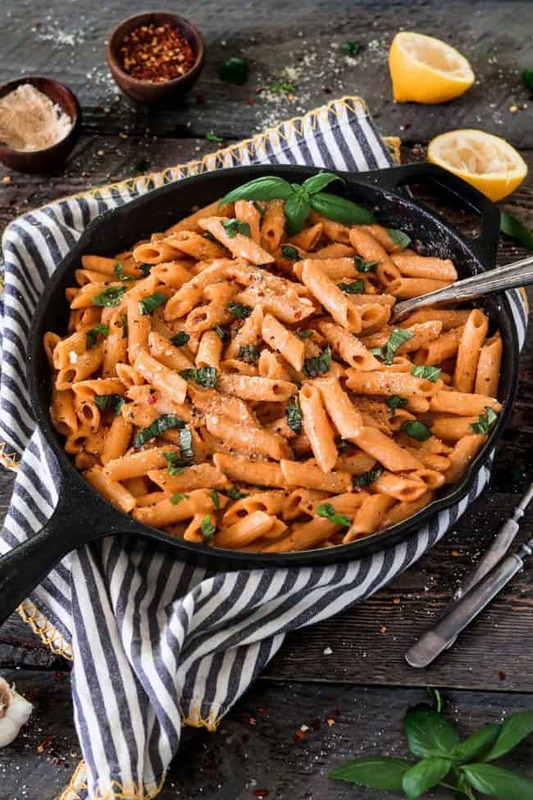 This vegan Penne Pasta with Vodka Cream Sauce from My Darling Vegan is a delicious, creamy, perfectly flavored romantic pasta dish. 5. 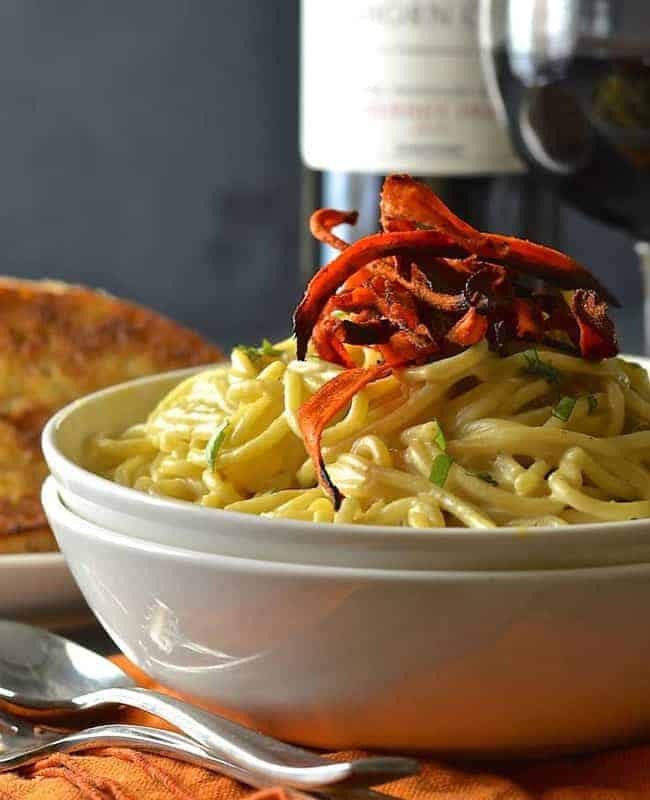 Vegetarian Gastronomy’s Creamy Sun-Dried Tomato Pasta would make any date happy. I know I sure would love for my husband to make me a big bowl of this next date night! 6. 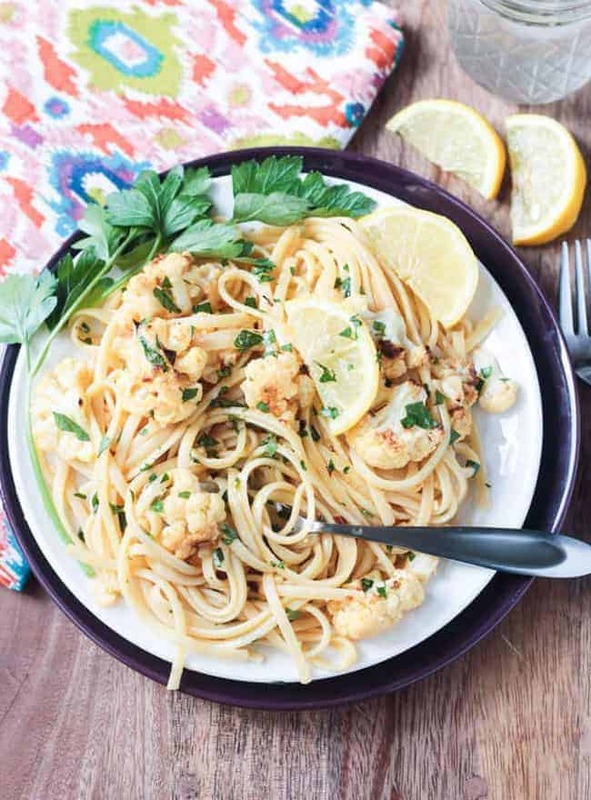 Veggie Inspired’s Cauliflower Scampi in Lemon Garlic White Wine Sauce is delicious, fancy and easy all at the same time. What date wouldn’t love this for a romantic dinner? 7. 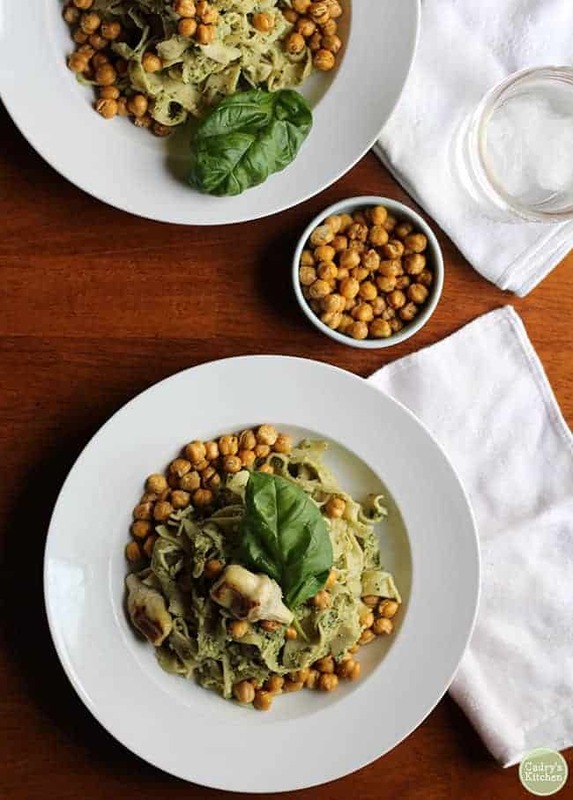 Make your loved one swoon with this delicious artichoke pesto pasta and fried chickpeas from Cadry’s Kitchen. Artichoke hearts have the word “heart” built right into the name! 8. 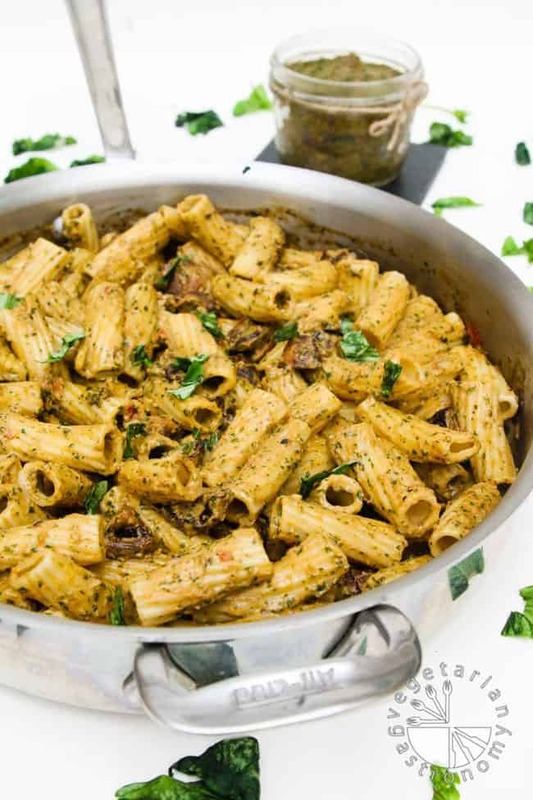 Veggies Save the Day’s Creamy Sundried Tomato Pasta is easy to make but elegant enough for a special occasion. Any date would love second helpings of this pasta! 9. 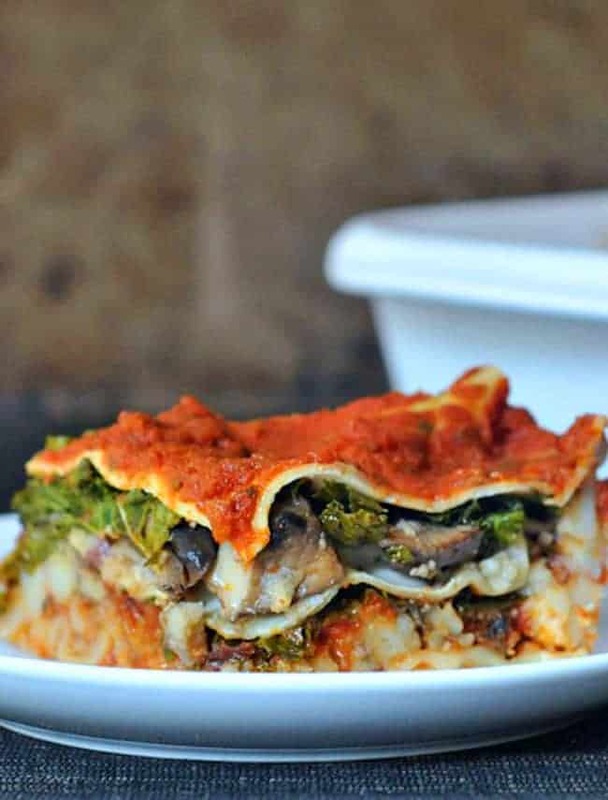 This Hearty Portobello Kale Lasagna from Spabettie is packed with nutrients, layers of flavor, and vibrant colors. The perfect date night comfort food! 10. Take your loved one to the Mediterranean without even leaving your house with this Vegan Walnut Feta Pasta from Fried Dandelions. 11. 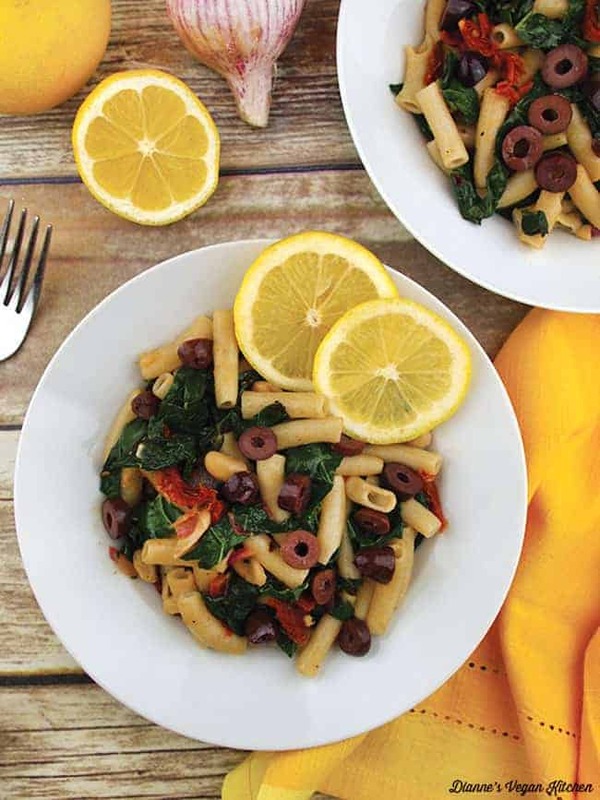 This Lemony Garlicky Pasta from Dianne’s Vegan Kitchen comes together quickly, making it the ideal for an easy yet tasty date night meal. 12. For a different take on pasta, check out Glue and Glitter’s Tofu Piccata over spaghetti. Elegant and tasty for the perfect date night dinner. 13. Is your date really into healthy food? 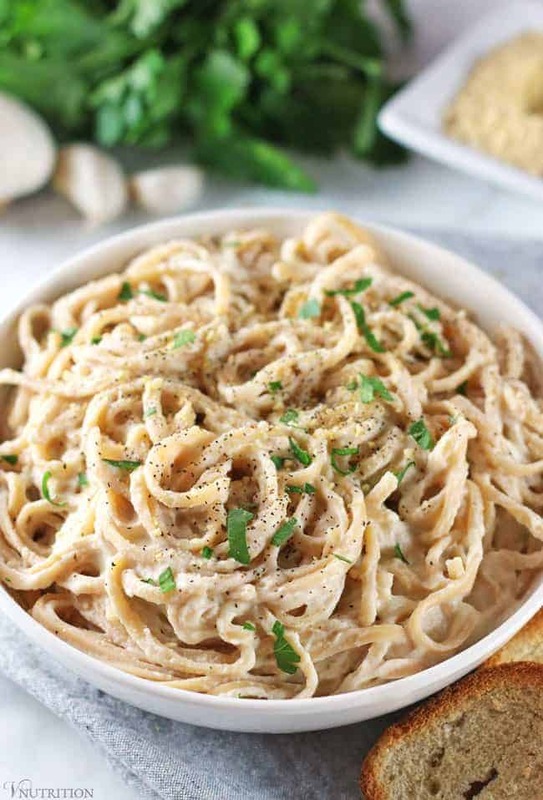 This Cauliflower Alfredo is a healthy (yet still delicious) take on Alfredo sauce with a lot fewer calories than the original. 14. Vegan in the Freezer’s Thai Curry Fettuccine is a great option for someone who loves Thai. It has a curry based sauce that will impress for date night. 15. 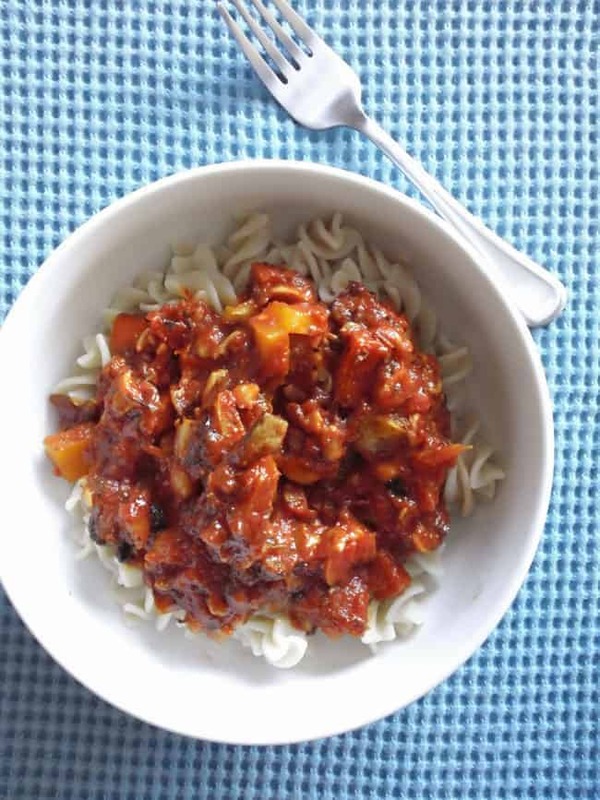 This Tempeh Bolognese Pasta from Vibrant Wellness Journal is a great option for dinner for a loved one that wants a little “meatiness” to the dish (without the meat). Bonus Recipe: I couldn’t have a pasta roundup without my Lemon One Pot Pasta. It’s one of my most popular recipes and for good reason. It’s so easy to make yet so tasty that any date would be impressed. No one will have to know you just threw all the ingredients in a pot and let it do its thing! 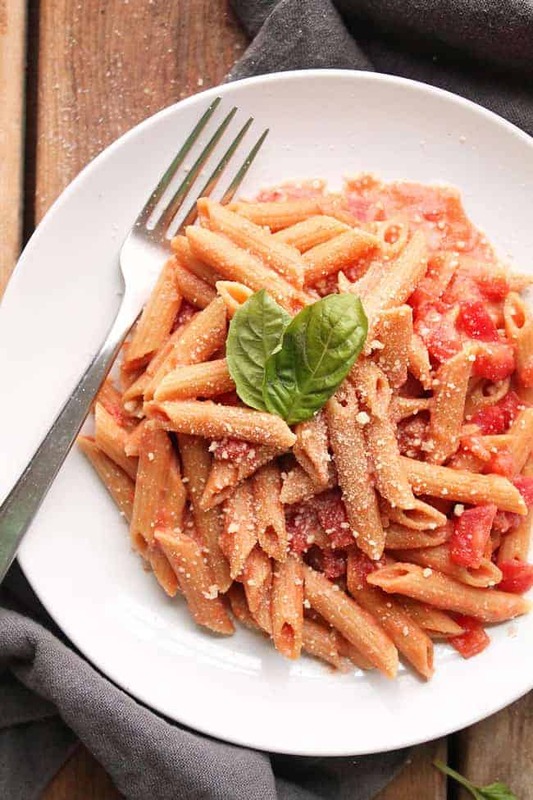 So what are some of your favorite Vegan Pasta Recipes for Date Night? So many delicious ideas! 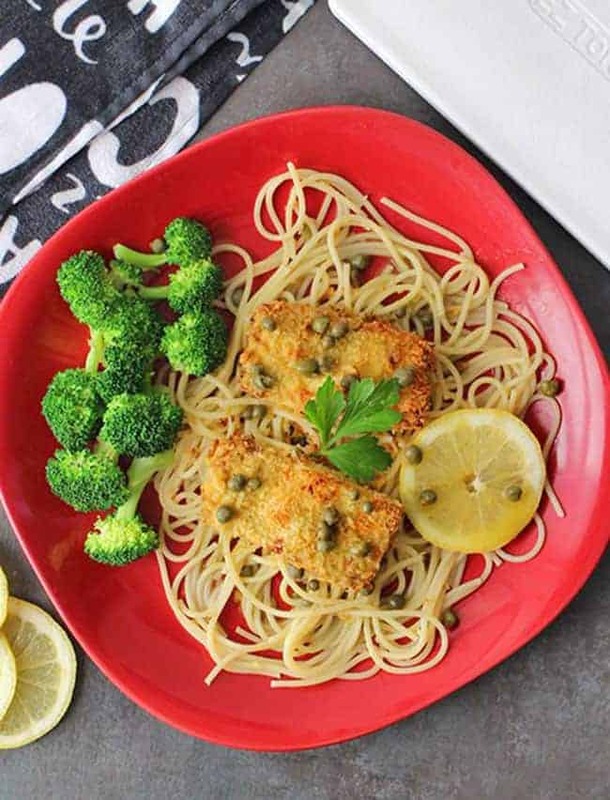 Thank you for including my Tofu Piccata! pasta IS the perfect date night dish… so many of these look SO good! Yes, pasta is my go to on date night! I love pasta, too, and there are so many delicious recipes here! Thank you for including one of mine! This is the most comforting page I’ve seen. I can get behind a romantic night with one of these for sure. Now to decide which comes first. Yes, I was thinking the same thing Ginny, so much comfort in pasta! These all look fantastic! I love pasta. Thank you for including my recipe! Yours looks so delicious, Amy! Anyone would want that from their Valentine! Wow, there are so many fabulous pasta recipes in this roundup. Thank you! Pasta is the perfect date night food. That red pepper pasta has my husband’s name all over it! Right? I’m so excited to try that one Holly! Thanks so much for including my recipe! This totally screams me because italian is one of my favorites for date-night! Shared! Anjali, of course! Yes, Italian for date night is always perfect! So much great recipe inspiration here, thanks! 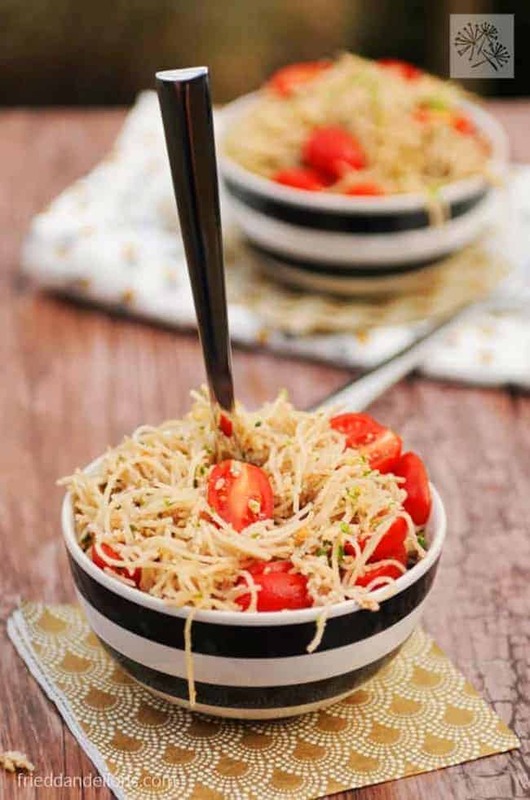 And we’ve really been into trying alternative pastas lately, so this is perfect. What a fantastic round-up. I think I’d like all of these! Thanks for the inspiration. ALL the pasta, please!! Such a fantastic roundup! Thank you for including my Scampi! Now I need 15 date nights and a husband that can actually cook for me. Mine tried once about 10 years ago and the meal was a complete disaster. Even he didn’t eat it. He hasn’t tried again since!!! Gorgeous roundup! You can never have too many pasta recipes!! Pasta always seems “romantic” to me! <3 Love this round up—want to work my way down the list and try them all! What delicious recipes! I love how creamy some of these pastas look- but how they are still vegan!